We have many financing opportunities to fit your budget! 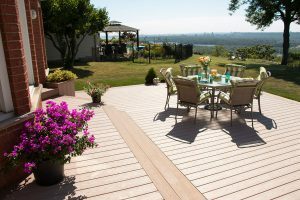 HomePro Remodelers is an experienced deck builder offering homeowners in Pittsburgh, Pennsylvania, and nearby cities the finest decking products and installation services available. We ensure that each homeowner we serve loves the end result of their outdoor deck by providing only premium decking products from some of the industry’s most well-regarded manufacturers and installing them with care and precision. VEKAdeck composite decking – Composed of cellular PVC, this decking is incredibly durable, as it is highly resistant to fading, water absorption, splintering, insect infestation, and other factors that cause deterioration. 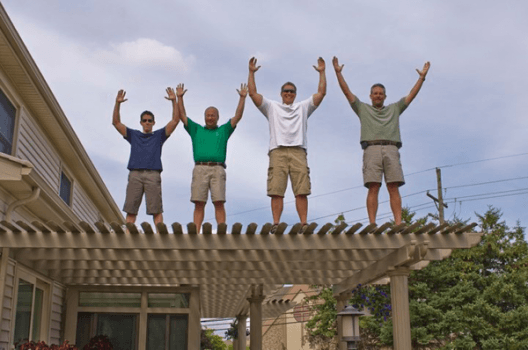 It is also exceptionally simple to maintain because it is easy to clean and will never require staining or painting from a deck builder to preserve its visual appeal. Armadillo composite decking – This low-maintenance decking option is American made and manufactured from post-consumer recycled plastic. Thanks to its innovative polyethylene protective shell, it provides exceptional protection against mildew, mold, fading, staining, and weathering, and it is backed by a lifetime limited warranty. Wolmanized wood decking – You won’t find wood decking this durable with another deck builder. This treated lumber is superior to standard wood products thanks to its enhanced protection against wood-decaying organisms. Wolmanized decking is also available with options such as water repellant to reduce warping and twisting over time, and fire retardant for increased safety. As a custom deck builder, HomePro Remodelers can perform an installation according to your exact specifications. We can build your patio deck as large or as small as you’d like, ensuring your new deck suits your lifestyle and needs. We can also install all finishing touches, such as deck railing that is made from premium vinyl or extruded aluminum and can be customized according to your preferences. If you would like to learn more about the benefits of hiring HomePro Remodelers as your deck builder, contact us today. We proudly serve all homeowners in Pittsburgh, PA, and nearby communities.